With this bin we practiced colors and shapes, then we had more fun by adding different toys in and making a flower forest~Very fun , easy to do, cheap to make. 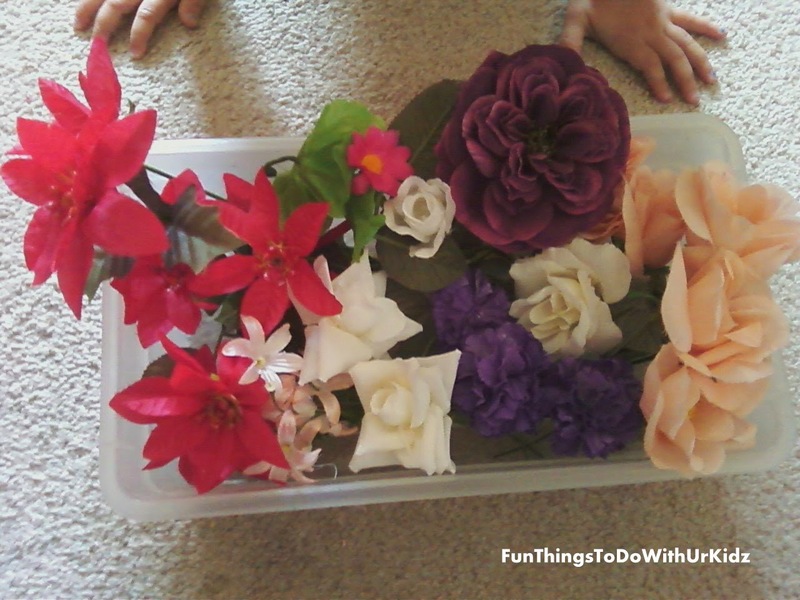 You can also reuse the flowers for different projects. we also made this vine when we got done playing. 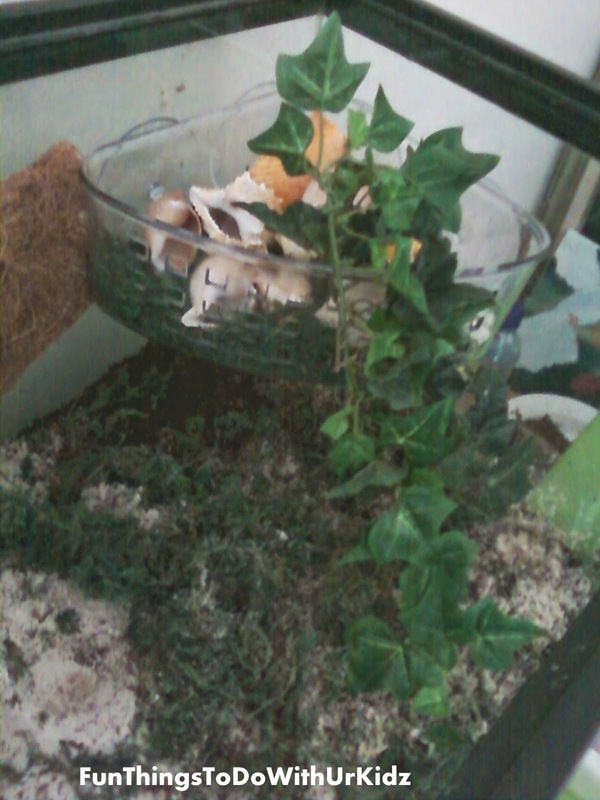 My daughter tied together little vines to make a long one for our hermit crabs. Great for teaching to tie and practice.